Mr. Andre Lamonde Davis was born on December 28, 1989 in Tallapoosa County, Alabama to Apostle Wayne and Co-Pastor Minister Brenda Davis. He accepted Christ into his life at an early age at Church on the Rock and later united with The Word Bible Church. Andre was a loving, kind, humble, and big-hearted young man. He never met a stranger, and if he did they didn’t stay a stranger long. He showed love to everyone and made anyone’s day bright with his big smile and his contagious laugh. He was a breath of fresh air that could change the atmosphere of any room he walked in. If you ever needed something done, you could count on him to get it done. He was a go-getter that didn’t believe in sitting down and waiting for something to happen, he had big dreams and was always working to get things done. He was a devoted father who loved his boys and made sure that whatever they needed, they got it, and didn’t look at the price at all. He never complained, no matter what trials he faced in life, he faced them head on. Known as the “fun” uncle to his niece, respected by his nephew, a protective and loyal brother, and the baby boy that made our family complete. He had a heart pure of gold, and his love for others shined bright. 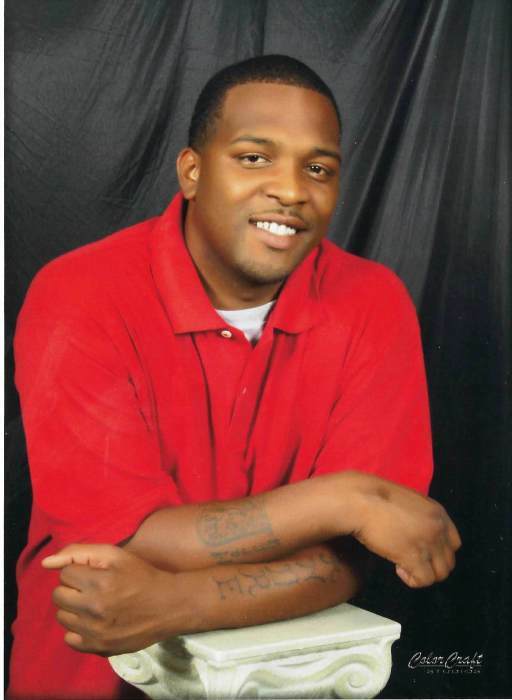 He was preceded in death by his oldest brother, the late Mr. Marcus Davis. Mr. Andre L. Davis departed from this life on Sunday, February 3, 2019. He leaves to cherish his memory: His father and mother, Apostle Wayne and Minister Brenda Davis of Kellyton, AL; three brothers: Mr. Brandon Davis and Mr. Kevin (Delicia) Davis, both of Kellyton, AL; and Mr. Courtney Davis of Alexander City, AL. He also leaves his legacy that will continue through his two beloved sons: Ly’Jaiden Davis of Alexander City, AL and Ke’Undre Davis of Goodwater, AL. One nephew, Damarcus Davis of Wedowee, AL, and one niece, Kalicia Davis of Kellyton, AL. Twelve Aunts, Three Uncles, and a host of close cousins, relatives, and friends.